The previous episode of Game of Thrones was amazing, Daenerys and Drogon went ham on the Lannisters, and the Tarly armies. This episode "Eastwatch is setting up what is about to happen beyond the wall. Bron questions Jamie about his actions in the previous episode when he charged at Daenerys with a Lance while Drogon was standing right there. Daenerys gives the remaining Lannister and Tarly men a option. Bend the knee and surrender or death by Dragon... Randyl and Dickon chose death by dragon and Drogon obliged them. Jamie tries to explain to Cersei that there is no way they can overcome the Dorthraki Forces and 3 Dragons, but she refuses to listen. Jamie also explains that Tyrion didn't kill Joffery, it was the Queen of Thorns Olena. Jon Snow comes face to face with Drogon, and it is an interesting meeting. 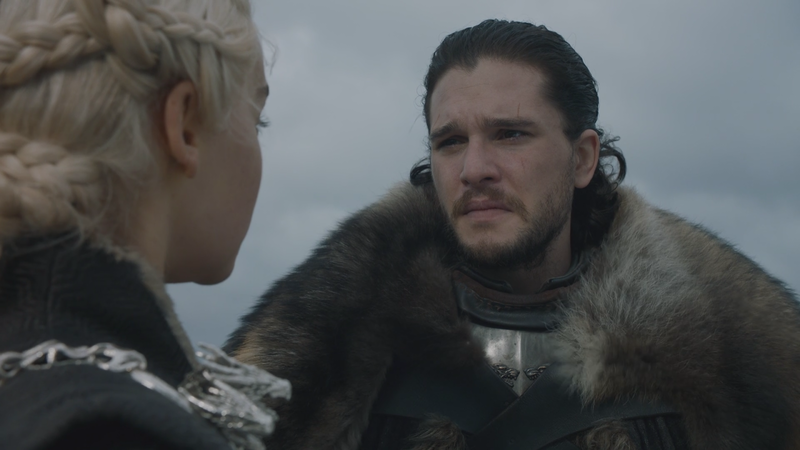 Daenerys and Jon have a chat about power and leadership... She also questions Jon about the meaning of what Davos said.. Jon just says Sir Davos sometimes gets carried away. Jorah Mormount makes his return. Bran worgs a flock to ravens to try to find out what is going on in the north. He sees the Night King and the Army of the Dead marching towards East-watch. The Night King realizes he is being watched breaks Bran's connection. Sam gets frustrated up at the Citadel. Tyrion and Varys chat, Varys tells Tyrion that he needs to find a way to make Daenerys listen to him more. Jon receives the letter from Bran letting everyone know that the Night King is moving towards EastWatch. A plan emerges to try to convince Cersei that there is a larger problem to the north that they all need to deal with. Jorah and Jon are to head beyond the way to bring back a wight. Tyrion to head to KingsLanding to convince Jamie to make Cersei to listen. Back at Winterfell the North is getting restless, questioning Jon's Snow leadership, while Sansa tries to hold everything together. Arya doesn't seem to trust Sansa. Tyrion goes to meet Jamie and Davos goes to meet with someone in Fleabottom. Tyrion tells Jamie that Daenerys wants to have a temporary truce. Davos finds an old friend, welcome back Gendry. Gendry shows that he knows how to handle himself with a Hammer. Jamie goes to tell Cersei what he has learned from Tyrion not knowing that she knew he had a meeting with Tyrion from Varys former little birds. Sam Takes the stuff that he needs and leaves the Citadel. 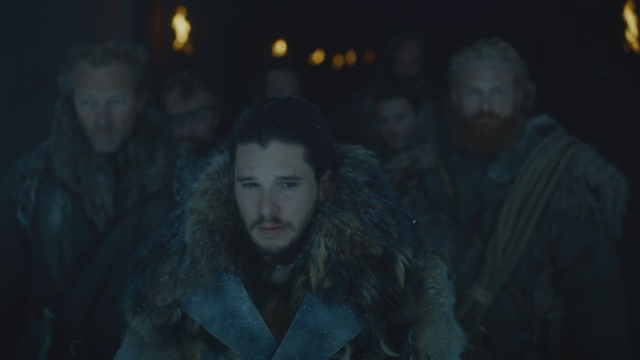 Jon makes it to East-Watch and realizes he not the only one that wants to go beyond the wall.